Lil Wayne, in an MTV interview, admitted to battling an addiction to codeine containing cough syrup. Arrested on drugs and weapons charges earlier in February, The man MTV called the best rapper of today is talking about his drug use, and drug addiction. Lil Wayne fans have long seen the star sipping out of a Styrofoam cup in video and in concert, and the rapper now confirms what many have suspected. In a recent MTV interview, Lil Wayne talked about his use of "syrup" or cough syrup with codeine and promethazine, mixed with soda or juice. A potent cough suppressant, this prescription medication can induce a narcotic high if abused, and just like any other opiate, is very addictive when used to excess. Lil Wayne admitted to getting pressured by friends and family to kick his addiction, explaining, "Everybody wants me to stop all this and all that. It ain't that easy." 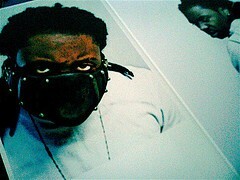 He called the detox and withdrawal pains of coming off "syrup", as like "death". In other Lil Wayne news, Patriots star running back, Kevin Faulk, arrested on Feb 26th for marijuana possession at a Lil Wayne concert in New Orleans, has passed a marijuana drug test. After his arrest, Faulk returned promptly to Boston, reporting on the incident to Patriots' coach Bill Belichick, and Belichick advised Faulk to take the drug test. Faulk faces misdemeanor marijuana possession charges. He has apologized to fans, but has not explained why he had the marijuana. Syrup, syzurp, lean - whatever it's termed - it's dangerous, addictive and the detox is tough.